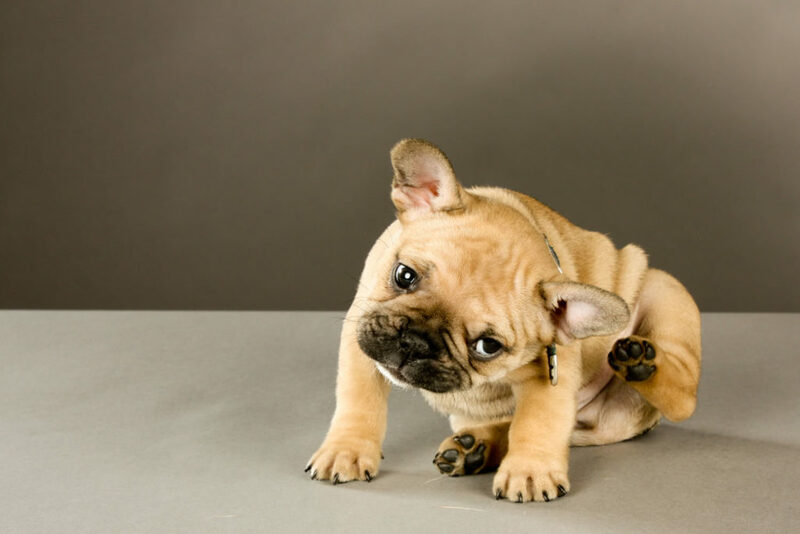 Comments Off on Fleas and How to get rid of them! Fleas. The parasitic bane of any pet loving owner the world over! Any pet owner who’s ever faced an infestation can attest to the frustration this itty- bitty critter will create if allowed to settle into an environment. They can reproduce so rapidly that you will have an out of control problem within a few weeks if not addressed quickly! Thankfully, in modern times, all pet owners now have a variety of tools at their disposal to thwart a potential infestation! There are also a plethora of flea preventatives on the market to help keep the possibility of an infestation at a minimum! With over 2,000 species of flea’s inhabiting our planet it’s a welcome advantage to have so many different implements in the arsenal to assist with keeping our pets free of those horrible little parasites. It wasn’t long ago that there were very few remedies for a total flea infestation; which usually meant Fido was forced to sleep in the yard or unable to come inside the home of the owner for fear the pesky critters would ingratiate themselves for the long haul. Laying eggs in carpets, biting and feeding on humans or other pets, the common flea has made itself the prime nuisance for our world. Before it is possible to get at the solution; it is necessary to identify the problem. Having over 2,000 variety of fleas on Earth I thought it would behoove the conversation to narrow that number to two. The most common variety of flea found throughout the United States are Ctenocephalides Felis and Ctenocephalides Canis. 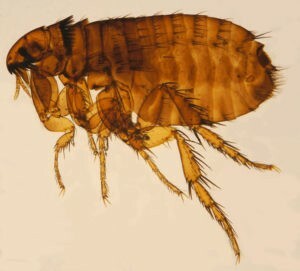 While all fleas are capable of feeding upon any warm- blooded mammal, these two are the most commonly associated with your average flea infestation. Surprisingly only 5% of flea infestation is made up of adult fleas on your pet, whereas the rest of the 95% is in your home as eggs, larvae and pupae. This is a very important fact to consider. It tells us that fleas don’t necessarily infest the pet so much as it does the environment. That said, the environment is the crucial piece to ridding your household and pet of these pests. The typical flea gestation is 12-22 days depending on the temperature and humidity. In optimal environment, a flea can live as long as a year, though the majority will end the cycle after around three months. The life cycle of fleas is broken into stages. Composed of the Egg, Larval, Pupal and adult stages. The egg is typically laid in highest concentration during the last days of female’s life. Commonly rolling off the host animal onto carpet or inside crevices, the egg will hatch into larvae after one to twelve days. Within four to eighteen days the larvae will spin itself into a silken cocoon entering the pupal stage. After emerging from the pupal stage the adult flea looks for its first feed while seeking a suitable host to feed and lay its eggs from. It’s important to note that a female flea lays her eggs and they immediately fall from the host animal onto the floor. As soon as the egg reaches larval stage it will search for the coolest possible spot to ensure the longest possible survival. Extremely cold or sustained direct heat of 95 degrees or higher will kill any flea at any stage of its life cycle. After transitioning to adult hood the fleas will wait for a suitable host, at times months or weeks can pass, while it waits in crevices, vent ducts, carpet, cool soil, shaded grass, attics or just about anywhere cool enough. These characteristics or traits are clues in what to look for in both a remedy and a preventative. Fleas are resilient opportunistic parasites that can cause much harm to you and your pet if not kept in check. The hardest hit areas for flea infestation are the warmer more humid climates. The southeastern United States to include Texas, Alabama, Florida, Georgia, Arkansas, Tennessee, Kentucky, North and South Carolina and parts of Virginia experience the most severe episodes of the flea seasons. The very mild winters of recent years have seen the most distressing uptick in the prevalence of tick born illness or suffered from a more chemically resistant flea. The lack of harsh winters allows for the fleas to continue to lay in wait for a host through long periods. Thus, making the sheer number of fleas in an environment nearly impossible to thwart with just a single treatment or one kind of tactic. That said, fleas can and will offer great resistance then becoming a nuisance anywhere if allowed to settle into its prime environment. Now that we have gotten a little background on our problem we can look at some of the myriad of solutions. From holistic to industrial chemicals the flea eradication and preventative market is a thriving two plus billion- dollar industry annually. It is important to stay on top of the constantly changing market to ensure the best results! One thing I always like to remind friends, clients or information seekers is that much like humans our pets have very individual reactions to some medication, shampoos, foods, flea preventatives etc. Therefore, it is of utmost importance to keep a good eye on them when beginning any new things that could have adverse effects. For some, those side effects may be intolerable. Common reactions can range from dry itchy skin, hotspots, sores, rashes or coat problems. In extreme cases the side effects can lead to death or other variety of extremes. Please be vigilant in your observations and seek veterinary assistance in extreme instances. The first set of treatments we will be covering is flea preventatives. Specifically, the ectoparasiticides. A newer brand on the market is Bravecto. Bravecto uses an ectoparasiticide called fluralaner. It is administered as a chewable pill, every 3 months. This was the first of several preventatives to arrive on the market the past few years using this family of drugs to combat fleas. Nexgard(afoxolaner), Simperica(sarolaner) are a few others. This class of chemicals is known to be very effective against fleas. While this class of chemical being used is an excellent flea treatment there have been numerous reports of pet fatalities attributed to them. This raises some serious questions for any loving pet owner. It is very important to monitor your pet vigilantly when using these or any other treatments available. Do your research! The next set of preventatives we will cover are the topicals. Brands like Frontline, Frontline Plus, Advantage 2 use chemicals that attack both the flea and eggs. These treatments are administered monthly at the base of the pet’s neck between the shoulder blades. These brands have been the go to treatments for our own pets over the past 9 years. They are also the biggest selling preventatives on the market. While we have heard there can be some mild side effects like rash, skin irritation, itching or redness, it has not been our personal experience. One thing we have heard of and read about concerning these treatments is potency. Apparently, the solution is being counterfeited in places like China and being sold as a brand like frontline but, only contains a miniscule amount of the active ingredient thus, making it less effective. Be sure you know the source you’re purchasing from online as this is the main route of piracy! We highly recommend this route to ensure your pets safety and maintain maximum prevention! If you have had success with the chewable brands previously mentioned, please continue to use them! The caveat is meant for any new owner considering which is best for them. For every negative tale I hear, there has been one of success! Another fantstic tool we have found over the years is Capstar. Containing the active ingredient Nitenpyram, Capstar has become the first weapon to use if an infestation is suspected. Administered orally it kills fleas on your pet almost instantly! This pill is the absolute best first step for fighting off any flea problem you find yourself involved. The last preventative is also the newest but, it is showing some exciting promise! Soresto Collars are collars that give your pet 8 months of prevention over its entire body. In the past there have been many collars claiming to be great for fleas but, generally came up well short of satisfaction. With Soresto it seems that notion is changing. Using a slow release method the collar emits imidacloprid and flumethrin. Initial reviews are quite solid with some negative side effects being reported. As with all the treatments mentioned, please do your due diligence. Know your pet and do what is best for your household! Lastly, it is important to highlight a few holistic methods of prevention. The use of chemical compounds will forever hold side effects for any user. Some may choose to go holistic for a variety of reasons but, the most common reason would be if your pet is allergic or has had a negative side effect to conventional treatments. 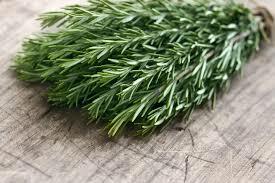 Popular holistic methods typically involve the use of citrus juices, lavender, apple cider vinegar or cedar. It is possible to make Flea sprays, flea collars, flea drinks or flea combs that can help in prevention. Depending on the region you reside these may be sufficient for repelling them. Though it is always suggested to use some type of treatment mentioned above in conjunction with these treatments once you found yourself infested. Holistic treatments are all but, useless. Next, we will answer the questions many of us have asked before in regards to fleas! Now that they are here. How do I get rid of them!? Thankfully in today’s world a flea infestation doesn’t mean getting rid of the dog or cat! It wasn’t long ago that an infestation could create a whole lot of trouble! It was once thought that the host animal was the root of an infestation. That has been shown to be highly inaccurate. 95% of an infestation is environmental. Therefore, it is imperative to thoroughly clean your home, yard, furniture or anywhere a flea could possibly gestate. First step to waging this battle is to remove all washable linens, sheets, clothes or fabrics within the infestation zone. Washing at a high temperature will ensure all fleas at any stage are killed off. Once you have that out of the way it is time for a detailed vacuuming. Be sure to get in any areas that would be great hiding spots for eggs. After that be sure to dust well. If you have not addressed your pet yet this would be an excellent time to do so. Capstar has been the most powerful tool added to the arsenal lately. The active chemical in it kills any fleas living on the host and will begin to work almost immediately. Then it is time to bathe your pet. Any number of fancy flea shampoos are on the market but, Dawn dish soap is a tried and true weapon that will kill fleas! Lather and rinse a couple times to be certain there aren’t any stragglers left hanging on. Brushing your pets hair after bathing is an excellent way to ensure any potential leftover eggs or fleas are gone forever! The last and possibly most important part of the eradication process is the yard!Mowing the yard should be first and foremost in this process. Fleas love to live dormant in cool grass or dirt. Sprays have come in very handy for this part of the process. Several brands are available for this purpose and have shown remarkable success. Another strategy is to flood your yard with water. Fleas will die if they are submerged in water or will die from exposure to too much sunlight. Any variation of this will suffice. Nematodes are also great for eradication. These microscopic worms will feast on larvae and other insects like termites. So nematodes can be a very viable option for not just fleas. Whatever approach you choose. Choose wisely! Always stay vigilant with any new products or chemicals! Read labels, talk to your vet and stay aware! What works for someone else may not be the best for you and yours. It is important to be well informed and know how to respond in the event your pet has any negative side effects. Let us know what works for you! Enjoy the summer fun that freedom from pests can bring! Your pet will love you even more for it! If that is possible!